Here's a teaser to an post I'm putting together for this weekend about how much I'm enjoying my involvement with Postcrossing, which I first wrote about in early February. I've received awesome postcards, messages and more from all over the world. This postcard arrived recently from Masha in Sevastopol, Ukraine. 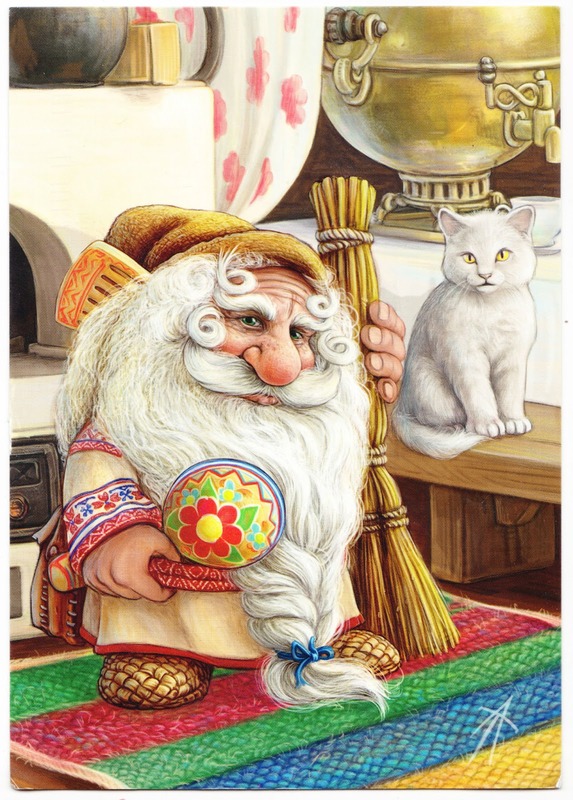 She wrote: "I thought that if you like folklore, you might enjoy this postcard with domovoi — a kind of house ward." I had never heard of a domovoi before! And he comes with a cat! Read more about them on Wikipedia. And check back this weekend for more about Postcards of the World, 2013 Edition. He looks like the dwarf from Lord of the Rings.